Move over, brick and mortar — a new house in Amsterdam is eschewing the traditional facade for a striking alternative that gleams golden in the sun. Local architecture practice MOPET architecten designed the contemporary home, named the Brass House Amsterdam, for a family who sought sustainable features. In addition to its fully recyclable facade, the house is equipped with solar panels, LED lighting and triple-insulated glazing. Sandwiched between two brick buildings in the city’s IJburg district, the Brass House Amsterdam catches the eye with its shiny, multifaceted facade that clads the front and rear of the property. Triple-glazed aluminum sliding doors punctuate the angled exterior on both sides and open up to a series of balconies. The fully recyclable facade changes color from brown to gold in the sunlight. The 2,260-square-foot house is split into three levels and includes a green roof. 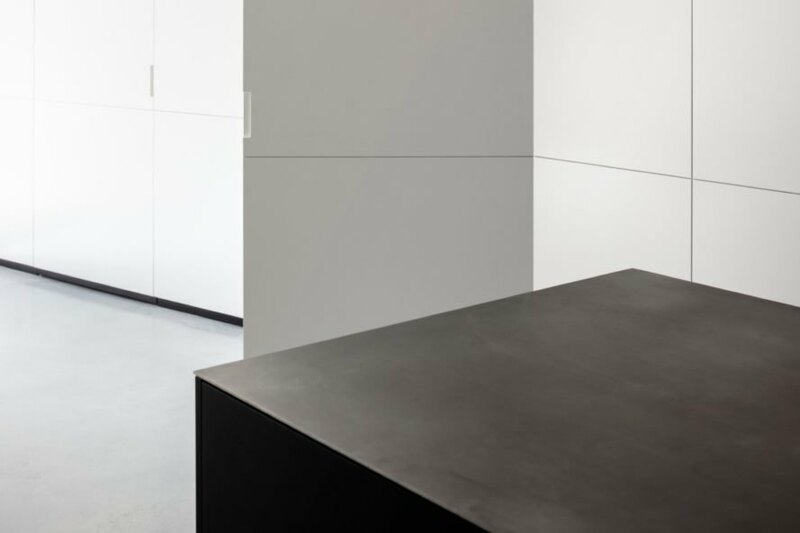 The modern interior is dressed in a basic palette comprising oak, concrete, black steel and white stucco, which establishes a spacious feel. An open-plan kitchen, dining room and living area are located on the first floor and open up to a garden in the rear. A flight of stairs on the south side of the home leads up to two bedrooms, a shared bathroom, a service room and storage space. The second floor houses an en suite bedroom with a walk-in closet and a spacious lounge. 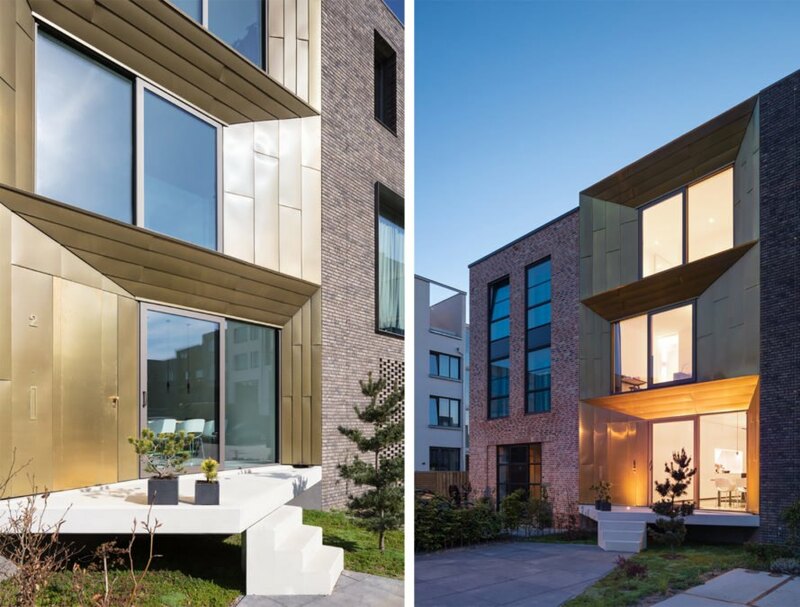 The recyclable brass facade turns from gold to brown depending on the time of day. Sliding glass doors on each floor open to balconies. The ground-floor living room opens up to a backyard garden. 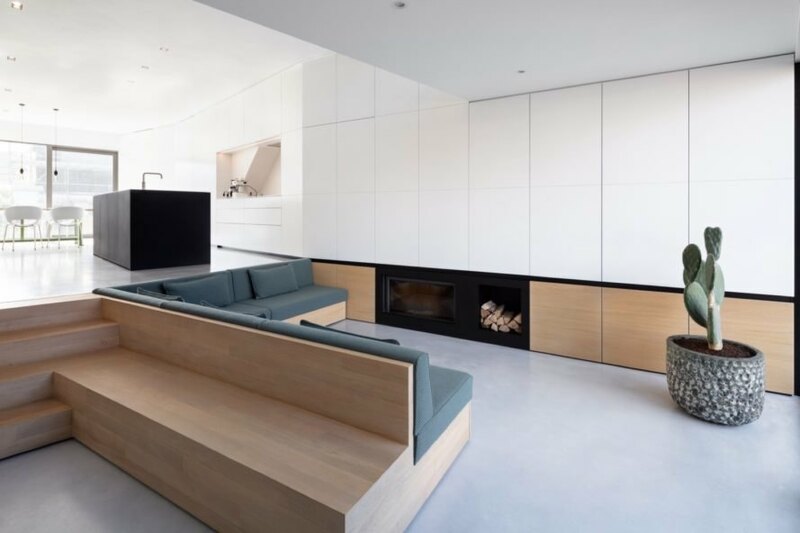 The minimalist and monochromatic design help emphasize openness in the house. 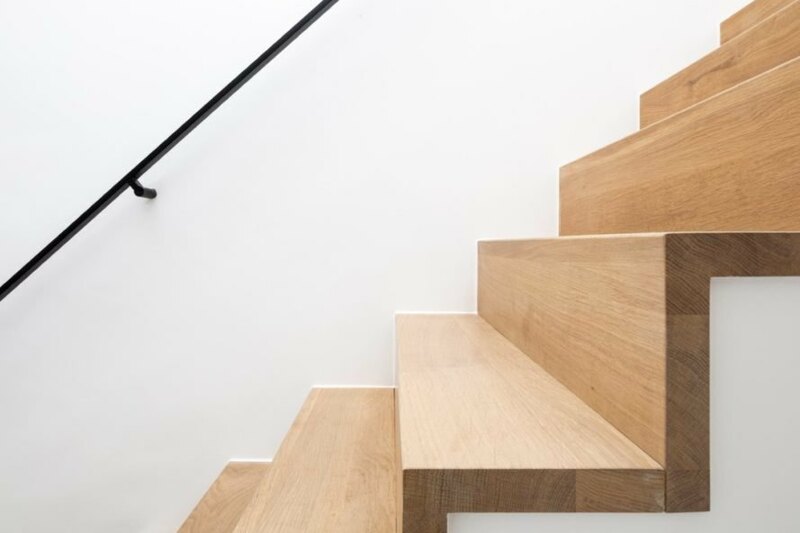 The staircase is made from wood.